The nifty Audi Connect system packaged with the Allroad's infotainment setup is powered by a subscription-based data connection that will run you an additional $25 to $30 per month. It works fine without it, though. 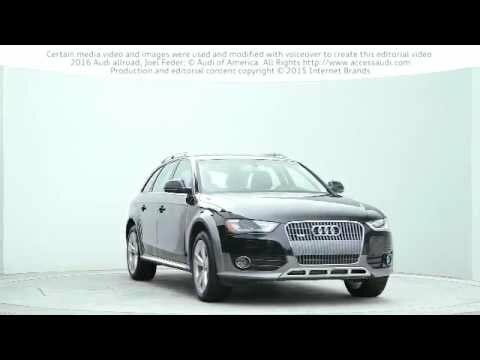 The 2016 Audi Allroad is a better driver's car than most every small crossover, including Audi's own Q5, as well as the best family-friendly vehicle in the A4 lineup. The 2016 Audi Allroad is a small wagon featuring brawny styling, perky performance, and slightly more all-weather capability than a typical long-roof. 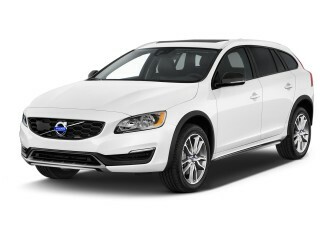 It's a great choice for families who want some extra room to spread out, but don't want to move into a tall crossover. While the previous edition of Audi's Allroad was built on A6 underpinnings, the current Allroad uses the same platform as the current A4 sedan. Because Audi's models have grown over the years, this Allroad is about the same size as that A6-based version. 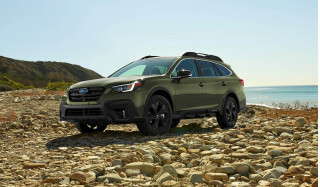 The recipe hasn't changed much, either: It's still a station wagon with a slightly taller ride height, earning it some of the advantages of an SUV without compromising too much on the driving dynamics found in a sports sedan. The Allroad is essentially Audi's A4 Avant wagon, as it's sold elsewhere in the world, under the cloak of some cladding and the extra promise of a little more ground clearance. 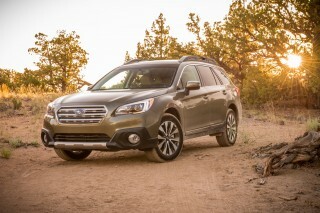 This Outback-like treatment works very well on the five-door A4, with its raised ride height, distinctive lower-body styling, and aluminum-look exterior trim. The Allroad has a stronger stance from the side, while at the front there's a little more presence, in part due to the vertically ribbed chrome grille. Trim LED headlamps are chamfered at the top corners for a subdued, sophisticated appearance across the nose, while wide fog lamps add substance down below. Most models get matte-finish cladding for the lower body and around the wheel wells, although a higher-gloss look is available as an option. Get inside, and you'll have trouble telling this cabin apart from that of an A4 sedan—at least from the front seat forward. The analog, cockpit-like gauge cluster isn't any more complicated than it needs to be. Audi's controller-and-screen-based Multi-Media Interface (MMI) system lives at the top and middle of the dash. The look is livened up with aluminum trim, and you can choose between several wood trim options if that's not your thing. Overall, the Allroad's dash and controls have a high-quality look and feel that extends Audi's recent streak of excellent interiors. The Allroad pushes the rugged look on the outside, but it's not likely to see much use on real trails. It's fine for casual off-pavement driving—a gravel road sounds about right—and the Allroad's stability control includes a special mode that allows for more wheelspin, in case it's stuck in muck and needs to extract itself. Ground clearance is 7.1 inches—less than the Subaru Outback, but about the same as some taller "soft" crossovers—and the Allroad has some modest underbody protection for light trailblazing. You don't have any choice in powertrains, but we have absolutely no issue with the excellent one that Audi installs in all U.S.-bound Allroads. The 2.0-liter TFSI turbocharged inline-4 makes 220 horsepower and 258 pound-feet of torque. It's paired only with a responsive 8-speed automatic transmission that features a sport mode, and power is then sent to the latest quattro all-wheel-drive system. Last year's bump in power knocked a tenth of a second off the dash to 60 mph—now 6.4 seconds, officially. From the driver's seat, the 3,900-pound Allroad responds well with any prod from the right foot, and the transmission doesn't hesitate to shift early when you don't need the revs. Gas mileage is officially 21 mpg city, 28 highway, 24 combined, according to the EPA; in an extended test we saw 24 mpg in a mix of driving and have seen, quite consistently, more than 30 mpg in relaxed highway driving at legal speeds. Initial impressions may lead to some happy head-scratching after you've taken the Allroad through some tight esses or down any back road. Even though the Allroad is taller and heavier, it feels more confident on the road than the A4. Bigger 18-inch wheels with taller-profile tires give the Allroad a little more confidence on the road, and despite a 1.5-inch lift over the sedan, the Allroad's suspension loads up more predictably. The all-wheel-drive system Audi uses in the Allroad can send up to 85 percent of torque to the rear wheels, when needed, or keep it at a 40/60 split during normal driving conditions. 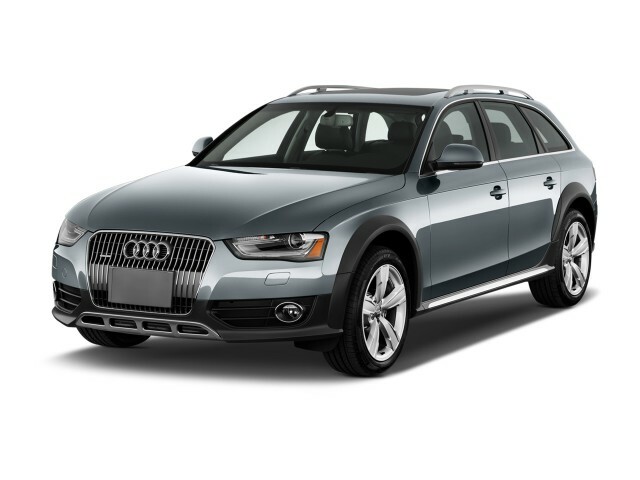 Similar to the sedan, the Allroad uses Audi's Drive Select system that can adjust throttle response, transmission behavior, suspension settings, or steering heft depending on the mode selected. Seating in the Allroad is excellent, although the back seat's tightness is a limiting factor. In front, even the base seats provide great support for longer highway trips, with just enough side bolstering. In back, the seating position is a bit low, and perhaps better contoured than in most crossovers, but there's simply no place for knees and feet for taller adults. With 27.6 cubic feet behind the rear bench, and an easy-folding seat arrangement, the Allroad is great at making room for weekend projects and other cargo needs. Flip the back row forward and you have up to 50 cubic feet. The 2016 Allroad hasn't been rated by the IIHS, but it's earned five stars overall from the NHTSA, with five-star frontal and side-impact ratings and a four-star rollover score. The related A4 has gone through full tests from the IIHS, garnering "Good" scores in all but the new small-overlap test, in which it receives a "Poor" rating. 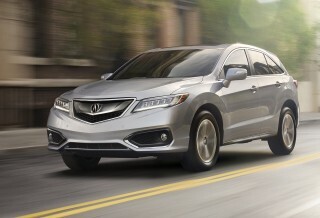 Noteworthy safety options include adaptive cruise control that can stop the car completely from speeds of up to 19 mph; blind-spot monitors and a rearview camera are also available, as are rear-seat airbags. Visibility, however, is pretty good, thanks to the tall glass areas, and rear parking sensors and a rear camera are afforded to most of the lineup, but the bulbous hood can obscure where the front corners are for some drivers. At the base level, for just over $43,000, the Allroad's standard equipment set includes leather upholstery; aluminum interior trim; power front seats; a power tailgate; a panoramic sunroof; satellite radio; and Audi's multi-media interface. 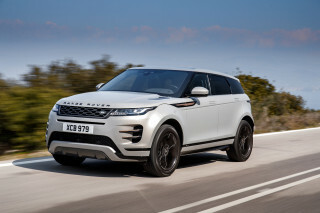 Options include iPod/USB connectivity; 19-inch wheels; adaptive headlights; Bluetooth; wood interior trim; a 505-watt Bang & Olufsen audio system; sport seats and shift paddles; and a navigation system. The Convenience Package, with its Audi music interface, HomeLink universal garage-door opener, the so-called driver information system, and Bluetooth connectivity, was made standard on all Allroad beginning in 2015. Audi Connect is another noteworthy extra; the feature allows customers to tap into a built-in 3G connection that turns the Allroad into a rolling wireless hotspot for up to eight devices. The connection also feeds input to the navigation system (with traffic and weather information) to render maps from Google Earth and Google Street View in stunning, crisp detail, and it enables Google local searches via MMI. While we have some gripes about the interface, the display features are some of the best available in any car right now. Audi made few changes to the Allroad for 2016, all of them pertaining to feature content. 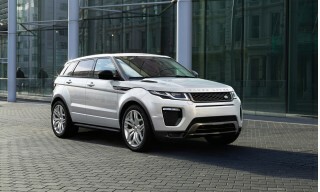 All trim levels now come with a three-spoke, multifunction, leather-wrapped steering wheel. Advanced key and Audi connect are bundles with the Navigation plus package, and the Premium plus model with the Technology package gets the Bang & Olufsen stereo as standard equipment. The Allroad is rated by the EPA at 21 mpg city, 28 highway, 24 combined. When loaded with gear and people for a weekend at our mountain retreat, this Allroad struggles up mountain roads. Third gear is too much, and speed falls. Second gear at 15 mph is all it will do. Too bad Audi... When loaded with gear and people for a weekend at our mountain retreat, this Allroad struggles up mountain roads. Third gear is too much, and speed falls. Second gear at 15 mph is all it will do. Too bad Audi will not sell the V-6 diesel in the Allroad, like they do in Deutschland. Also, Deutschland Allroad gets the supercharged V-6 gas engine, same as the A7 V-6 gas engine we do get in the U.S.A. The non-availability of an Allroad diesel has nothing to do with the emissions scandal.